Dutchman Peter Koning (Drapac Pro Cycling) attacked from the day’s escape group to secure a memorable solo victory on stage three of the Tour de San Luis in Argentina on Wednesday. Overnight race leader Fernando Gaviria (Etixx-QuickStep) led home a chase group for second place, with Travis McCabe (Tinkoff) in third. Koning’s winning margin was enough for him to unseat Gaviria from the top of the general classification. 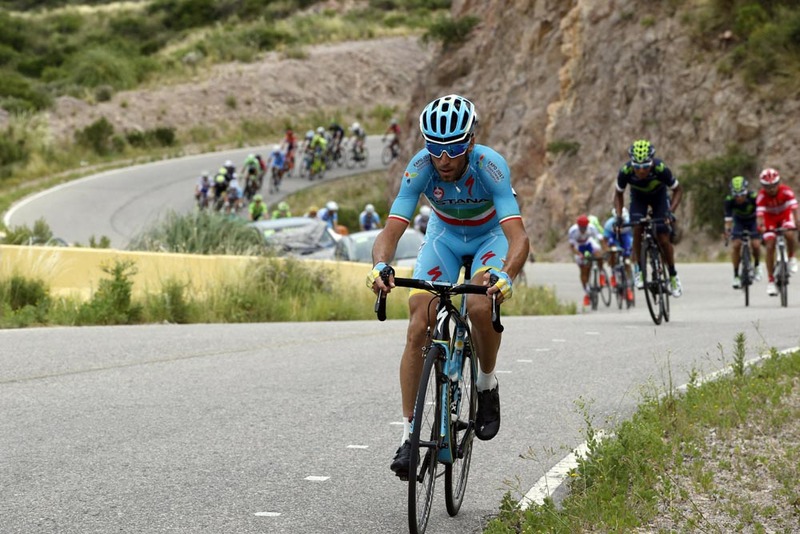 Nairo Quintana (Movistar) is in sixth, and Vincenzo Nibali (Astana) in 10th overall. Four riders attacked off the front of the bunch to spend the day out front: Koning, Elias Tello (Chile), Gonzalo Najar (Sindicato de Empleados Publicos de San Juan) and Emmanuel Guevara (San Luis Somos Todos). Koning successfully attacked his escape companions with 30km to go, just as Najar suffered a mechanical problem. Tello and Guevara simply could not catch him, and behind a combination of Etixx-QuickStep, Tinkoff and Movistar riders drove the pace at the front of the peloton. Koning hit the second-category El Mirador del Potero inside 20km to go, putting in a huge effort to try and stay away from the rapidly-encroaching bunch. As the peloton made its way up the climb, riders were constantly being dropped out of the back, whittling down the numbers. Koning crested El Mirador del Potero still out front to start the descent. Behind, a group including world champion Sagan, Gaviria, Quintana (both of them) and Nibali had clipped off from the front of the peloton in an attempt to catch the Dutchman. But as the gradient eased off, no one seemed willing to lead the chase and Koning took the victory unchallenged. On Thursday, the Tour de San Luis travels 140km from San Luis to Cerro del Amago, a stage that features a tough first-category climb to the line. There’s no doubt that the general classification will receive a major shake-up.